Celebrate the 14th Annual UYA Festival on July 24th this year. 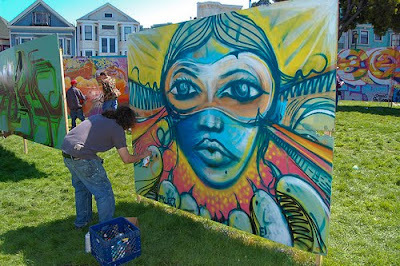 There will be 2000 square feet of wall space set up to be painted in the park. A limited amount of paint will be given out to youth and artists who would like to participate in painting. People are welcome and encouraged to bring their own painting supplies as well. There will also be free food and live entertainment throughout the day. Also enjoy local artist booths s...pread throughout the park displaying new works!